Home / Cardiovascular Support / OMEGA PLUS – 60 Gelatin Capsules- BUY 6 and GET 6 FREE! 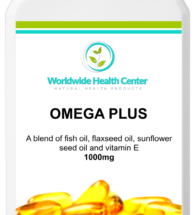 OMEGA PLUS provides a carefully blended combination of Omega 3, 6 and 9 fatty acids (high in EPA and DHA), balanced to optimal levels of each to ensure adequate intake of the essential polyunsaturated and monounsaturated fatty acids. 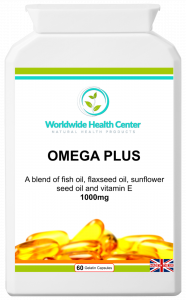 * Beneficial effects obtained with a daily intake of at least 250 mg DHA and EPA. 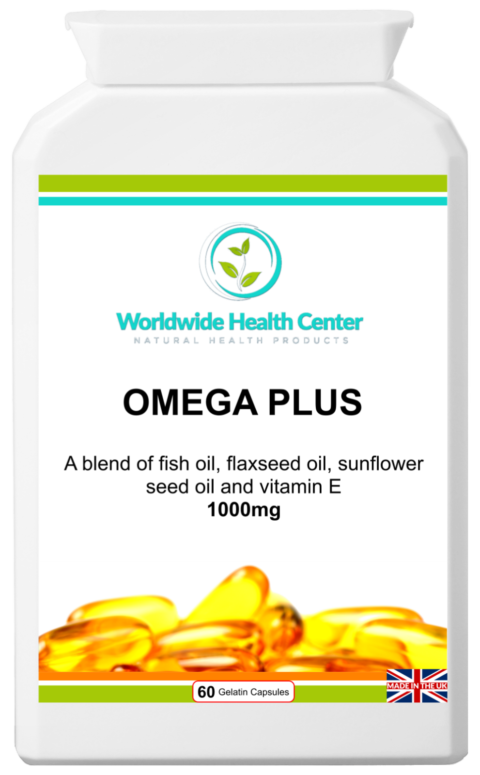 OMEGA PLUS is derived from sunflower seed oil, flaxseed oil and fish oil (the best source), plus added vitamin E and it is an easy to swallow gelatin capsule. 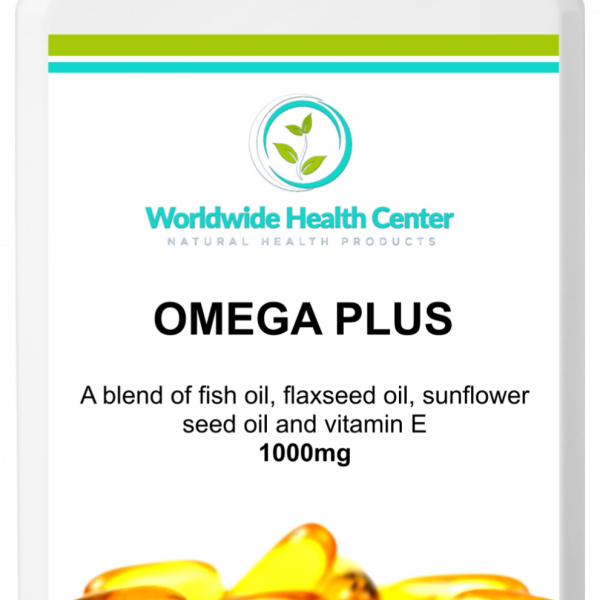 Warnings: People with epilepsy should consult their doctor before taking this food supplement or changing their diet. Not intended for use by pregnant or lactating mothers. 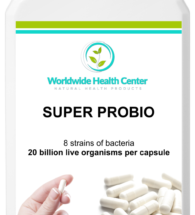 Directions: Take 1 capsule, 2 to 4 times per day before meals or as advised by a health professional.